Listening to records is old school cool. Vinyl is still in circulation so having a means to play them is important. The sound quality might not be that great so investing in a newer design might be best. Gadget brand Hammacher Schlemmer put out a Counterbalanced Turntable that delivers crisp, clear sound. Equipped with all kinds of high tech mechanisms including dual counter-rotating decks that spin counter-clockwise to cancel out unwanted noise and twin plinths that can’t transfer sound. 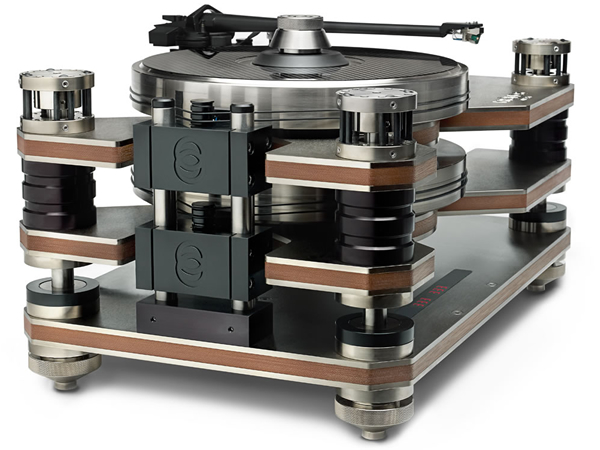 This design won the Best Sound High Fidelity Award by Munich High End which is the biggest high-end award to be had. Dj BrainDeaD & Pioneer Israel in a special collaboration, demonstrating the new Pioneer DDJ-SX Controller. Industry’s first 4-channel performance DJ controller/mixer for Serato DJ software. Performance DJ controller with pro-level build quality, oversize jog wheels featuring CDJ-type on jog display. There is also a 8 soft-touch rubber controller/trigger pads per deck for loop/sample. It also includes Serato DJ software featuring 4 decks, dual deck control, slip mode, sync-able sampler and high-quality FX. And can be used as a stand-alone 4-channel mixer to connect CDJs and/or turntables.